Cannondale's 2019 Synapse Carbon Ultegra Di2 Disc Bike features lightweight BallisTec carbon fiber construction and comfortable yet speed-oriented geometry, making it perfect for rigorous, full-day cycling adventures. Frame: Asymmetric, BallisTec Carbon, Di2 ready, SAVE. Fork: BallisTec Carbon, SAVE, integrated crown race. Crankset: Cannondale Si, BB30a w/ FSA rings, 50/34. Brakeset: Shimano Ultegra hydro disc, 160/160mm RT70 rotors. 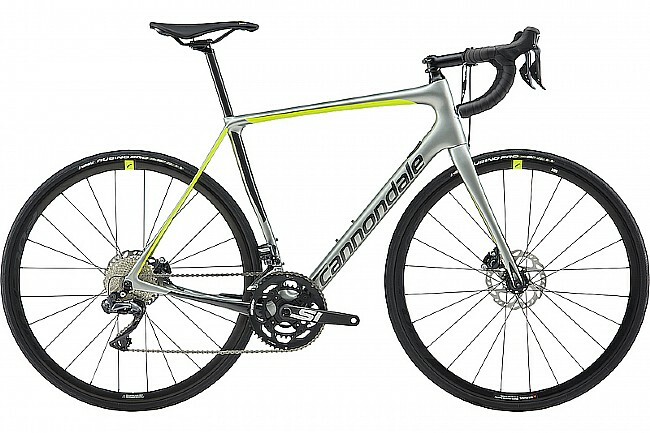 Handlebar: Cannondale C2, 7050 Alloy, Compact. Seatpost: Cannondale C2, UD Carbon, 25.4 x 350mm (44-56), 400mm (58-61). Wheelset: Fulcrum Racing 600 DB, Alloy clincher, 26mm deep. Axles: Fulcrum Racing 600 DB, 12x100 front, 12x142 rear.